The U.N. defines a refugee as "someone who has been forced to flee his or her country because of persecution, war, or violence. A refugee has a well-founded fear of persecution for reasons of race, religion, nationality, political opinion or membership in a particular social group...War and ethnic, tribal and religious violence are leading causes of refugees fleeing their countries." There are more refugees worldwide - 65.3 million - than at any time since WWII. Many who have been forced to flee their homes are refugees within their home countries. Given a choice, nearly all would prefer returning to their homes. Forced displacement has impacted God's people throughout biblical history. Consider Joseph, Israel in Egypt, Moses, David, Israel in Babylon, Ezekiel, Daniel, Esther, Jesus, the church in Antioch, Peter and John - all these would have met modern international protocols for refugee/asylee status. Yet Joseph describes the redemptive possibility of forced migration: "Do not fear, for...you meant evil against me but God meant it for good, to bring it about that many people should be kept alive, as they are today" (Genesis 50:19-20). Historically, the United States has led the world not only in accepting but integrating refugees. 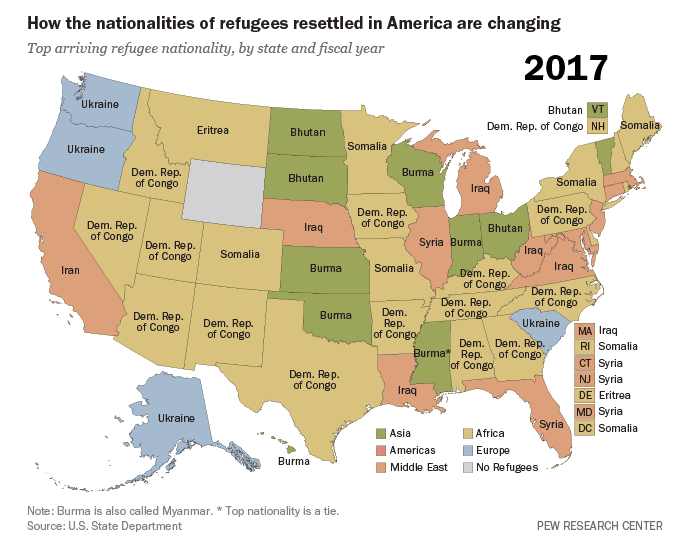 In the modern era, refugee levels have varied significantly in origins and overall levels.Today, there are roughly 3 million refugees in the U.S. among the overall immigrant population of 43 million. A significant percentage (46%) of these men and women are Christians who have fled homelands because of religious persecution. Since 2002, Texas has led the nation in resettling refugees, and in 2016 more refugees were resettled in Dallas-Ft. Worth than any other U.S. metropolitan area. Population estimates for refugees range from 100,000 to 200,000. 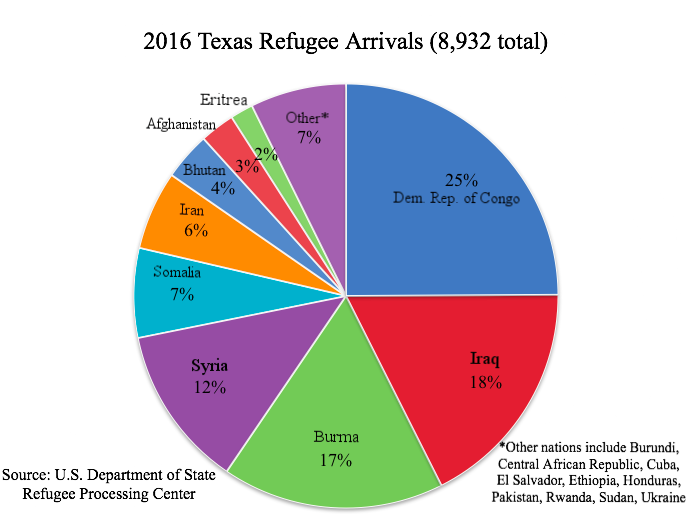 In late 2016, Texas withdrew from the federal refugee resettlement program. However the state's strong economy, low cost of living and robust social support infrastructure (in part due to engaged churches) still makes Texas a top destination for new arrivals and relocations.